On a HP DC7800 system, where do you think the Hardware Virtualization Technology setting might be? Yes, that’s right. It’s in the Security section of the BIOS. 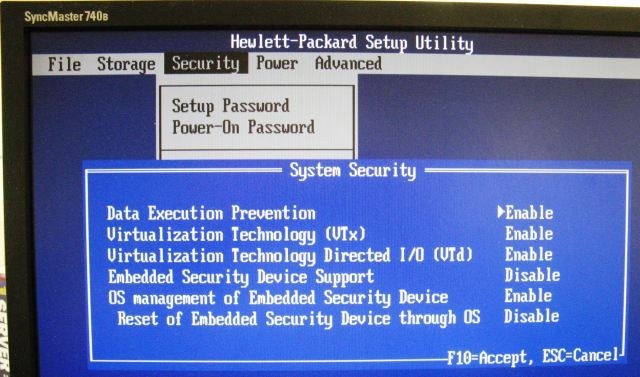 Unlike Steve Gibson, I don’t immediately associate Hardware Virtualization with security. It took me much Googling to locate where the setting was hiding. Newsflash: Steve Riley has left the building!